Ski Liberty Mountain Resort: Skiing Near Washington, D.C. Ski Liberty is one the closest ski areas to Washington, D.C. and with its Liberty Mountain Resort and its new Highland Lodge that opened in 2015, is a great winter getaway destination. Activities at Liberty include skiing, snowboarding, snow tubing and ice skating. Ski Liberty Mountain Resort is owned by Snow Time, Inc. which also owns Whitetail Mountain Resort in Mercersburg, PA, Ski Roundtop in Lewisberry, PA and Ski Windham in New York. Season passes are good at all three Pennsylvania ski resorts and special benefits are available for Ski Windham as well. Liberty Mountain Resort is nestled in Carroll Valley, PA, just 8 miles southwest of historic Gettysburg, and 5 miles north of Emmitsburg, MD. The resort is convenient from both the Baltimore, Maryland and Washington, DC metro areas. Distance from Washington, D.C.: 78 miles, 1.25 hours, See a map. Monday - Friday (Non-Peak): 9 a.m. - 10 p.m.
Saturday, Sunday, Peak: 8 a.m. - 10 p.m.
Night Skiing Hours: 5 - 10 p.m.
Christmas Eve: 9 a.m. - 5 p.m.
Christmas Day: Noon - 10 p.m.
New Year's Eve: 8 a.m. - 1 a.m.
New Year's Day: 8 a.m. - 10 p.m. Peak Hours are Christmas through New Year's, Martin Luther King, Jr. Weekend and Presidents' Weekend. Monday - Thursday (Non-Peak) 4 - 10 p.m.
Friday (Non-Peak): 9 a.m. - 10 p.m. The new ice skating rink is open offering a fun activity for all ages. Rental skates, helmets and wrist guards are available. The Liberty Mountain Hotel is open year around and offers 116 guest rooms, more than 30,000 square feet of meeting space, an 18-hole championship golf course and two year-round restaurants. Onsite activities include exercise facilities, billiards, tavern with live entertainment, hiking, volleyball & horseshoes. The Highland Lodge opened in 2015 featuring two new restaurants (Eagle & Owl Public House and Ike's Chophouse), a grand event room with a large outdoor terrace overlooking the golf course, additional meeting and banquet spaces, 17 hotel rooms and suites, an indoor pool, a spacious hot tub area with separate saunas, as well as a the Laventide Salon and Spa. 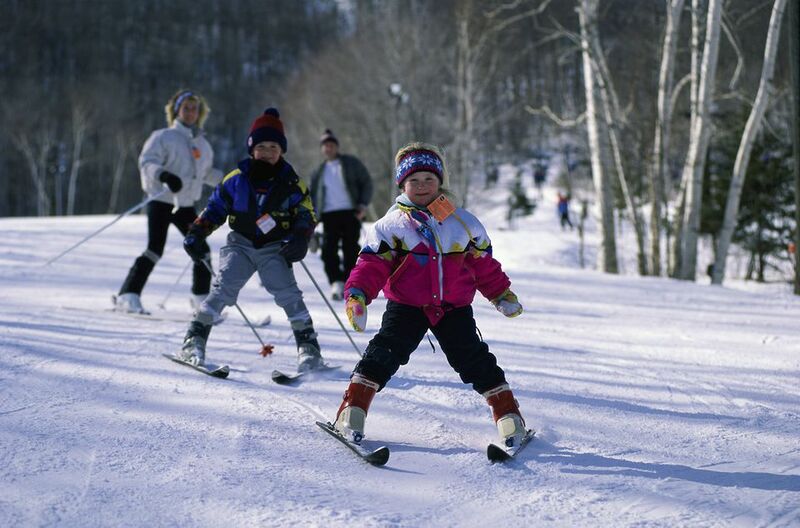 Ski Liberty is one of many ski resorts that make a nice weekend getaway from the capital region during the winter months. For a complete guide to each destination, see 11 Ski Resorts Near Washington, D.C.